1. What type of landlord insurance cover are you interested in? Owning property comes with responsibility as you have a legal duty of care for any members of the public on your property and are required to have public liability cover. You also need to protect your assets against risks and damage. You may also want to protect your income if you rent out the property. This is where commercial property insurance can help to protect you from damage, claims and compensation costs. There are a variety of policies available for property owners which can offer different elements of property cover and comprehensive packages to meet all your needs. Below we have looked at what the market has to offer UK based commercial property owners. The table below gives a quick comparison of the top UK providers for commercial property insurance. Some of the features and benefits of Aviva’s commercial property insurance. Aviva offers a wide range of business insurance through a network of insurance brokers. They offer commercial property owners’ package that is designed to cater for businesses that own their property and landlords. It is a policy that can be tailored to meet your needs and can cover up to 20 commercial properties on one policy. Aviva’s commercial property owners’ package includes public and products liability insurance up to £5 million as standard. It can also include damage to landscaped gardens up to £25,000, loss of metered supplies up to £10,000, trace and access up to £25,000 and alternative accommodation up to 20% of the building insurance sum. Some of the features and benefits of AIG’s commercial property insurance. AIG is an insurance provider that offers a wide range of business insurance products which includes property insurance. Their property insurance is designed for a wide variety of commercial premises that are often considered niche such as hotels, telecoms buildings, infrastructure buildings, manufacturers, real estate and hospitality buildings. AIG’s property insurance offers property damage all risks which covers most eventualities and it includes clean up costs, equipment breakdown, cyber cover, theft, reduced conditions and warranties such as sprinklers and alarms. It can also be combined with other insurance cover such as material damage, business interruption, employer’s, public and product liability. Some of the features and benefits of RSA’s commercial property insurance. 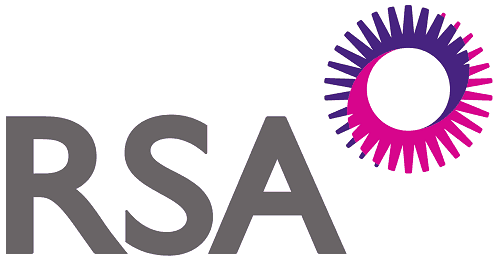 RSA is an insurance provider that offers a variety of business insurance products which includes property owner’s insurance which is designed for commercial properties. They sell their insurance products through insurance brokers to business with small to large portfolios of properties. 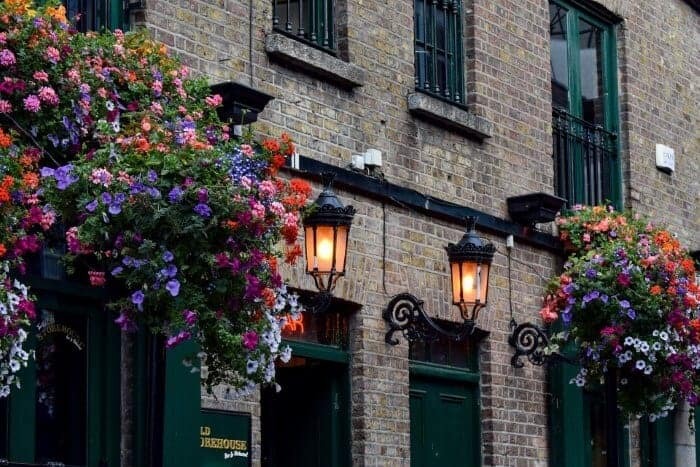 RSA’s property owner’s insurance offers comprehensive cover that includes buildings insurance, loss of rent cover, terrorism insurance, public liability insurance designed to cover property owners and employer’s liability insurance. RSA favours businesses that have large mixed commercial portfolios, office and retail portfolios, and out of town entertainment complexes but they will consider a variety of other properties but will prefer those that have reduced risk in their properties. Some of the features and benefits of AXA’s commercial property insurance. AXA is an insurance provider offering a range of business insurance including commercial property insurance. They have designed their commercial property insurance to suit a wide variety of businesses including shops, offices, surgeries and hotels, and they also cover people who work from home. AXA’s commercial property insurance is a flexible policy that allows you to select the cover that you require and combine different types of insurance to create one comprehensive policy. The policy can include buildings, fixtures and fittings, business interruption, stock and cash on premises, and legal expenses which gives you access to a 24-hour legal helpline. They also offer a range of other additional products. Some of the features and benefits of Direct Line for Business’ commercial property insurance. Direct Line for Business is an insurance provider that offers a range of business insurance that is designed to meet the needs of smaller businesses. Their products include buildings insurance that is suitable for businesses that own their premises or those that have made significant alterations to the premises to suit their business. Direct Line for Business’ building insurance can be tailored to meet your business needs with the cover that you require. You can choose to cover buildings all risks which can include damage to a property as a result of a wide variety of damage. Some of the features and benefits of Zurich’s commercial property insurance. Zurich is an insurance provider that offers a variety of business insurance which includes a wide range of property insurance products. Their range includes property and business interruption, property insurance and property owners’ insurance. They cater their products to a broad mix of businesses including commercial properties, offices, retailers and residential properties. Zurich’s property cover can be tailored to meet your needs with a flexible cover that includes public and products liability as standard. You can choose from optional covers such as contents insurance which can be tailored for landlords, employer’s liability to cover staff working on the premises, legal expenses and business interruption. Some of the features and benefits of Allianz’s commercial property insurance. Allianz is an insurance provider that offers a variety of business insurance through a network of brokers. They offer complete property owner insurance which provides cover that is designed to protect you against damage and legal action in a single policy. Allianz’s complete property owner insurance offers cover that includes property damage and loss of buildings and contents, property owners’ liability up to £2 million which can be extended to £10 million, and commercial legal expenses up to £1 million. Their optional covers include loss of rent up to £750,000 per year, employer’s liability insurance up to £10 million, and personal accident up to £20,000. Some of the features and benefits of Ageas’s commercial property insurance. Ageas is an insurance provider that offers business insurance through a network of brokers who can help you build the best cover for you. They offer property owner insurance that is available to commercial properties, blocks of flats and residential rentals. They will insurance single properties or multiple properties in a portfolio. Ageas’ property owners’ insurance is designed to be flexible so you can choose what you want to cover in your policy. You can include property damage, loss of rent, employer’s liability, public liability, directors and officers’ liability, legal expenses and landlord’s legal protection up to £50,000 on residential properties only. Some of the features and benefits of QBE’s commercial property insurance. QBE is an international insurance provider that is a well-established provider that has been offering property insurance for a very long time. They offer property insurance to small enterprises through to large multi-nationals for single properties and multiple site businesses. QBE’s property insurance offers comprehensive cover that is a flexible product that allows them to tailor their product to meet your needs. They will get to know your business in order to assess your insurance needs and offer you the best cover possible. Their property insurance comes with the added benefit of including risk management support to reduce any possible risks. Some of the features and benefits of NFU Mutual’s commercial property insurance. NFU Mutual is an insurance provider that is controlled by its members and offers a range of business insurance that is designed for small to medium-sized businesses. They offer property owner’s insurance that can be tailored to meet your business and industry sector’s needs as their policy offers a basic cover with a range of optional extras. NFU Mutual’s property owners offer buildings insurance, business interruption, property owners and product liability as standard. Optional cover includes employer’s liability, landlord’s contents, commercial legal expenses, group personal accident, money and malicious attack, goods in transit, terrorism, business travel, engineering insurance and inspections. Some of the features and benefits of Lloyds Bank’s commercial property insurance. 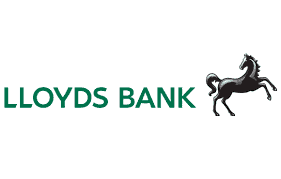 Lloyds Bank is a financial services provider that offers business insurance in partnership with Arthur J. Gallagher who is a large UK insurance provider who can compare quotes from their panel of insurers. Their property owner’s insurance is available for both commercial and residential properties. Lloyds Bank’s property owner’s insurance provides comprehensive cover that protects your property inside and out. It offers cover for buildings against damage including flooding, subsidence and accidental damage. It can also cover property owner’s liability in case of injury to the public and rent cover for residential properties when there are temporary gaps in rental income. Some of the features and benefits of Liberty Mutual’s commercial property insurance. Liberty Mutual is an insurance provider that provides a range of business insurance products and risk management support. They offer a range of commercial property insurance that is tailored insurance packages that can cater for a wide range of needs and is suited to small to medium-sized businesses. Liberty Mutual’s property owner’s insurance brings together key building insurance with general liability cover to protect the interest of the property owner. This insurance package allows you to include the cover that you need as you can add extra cover such as loss of income, additional expenses whilst the business is closed and equipment breakdown. Some of the features and benefits of Chubb’s commercial property insurance. Chubb is an insurance provider that offers a range of specialist insurance products to businesses in the UK and Ireland. They offer property insurance designed to be tailored to meet your business’ needs with the option to add further cover. Chubb’s property insurance protects commercial properties with a package of cover to choose from. The cover options include property damage, business interruption, accidental damage, money, goods in transit, machinery and computer breakdown, and terrorism. You can also add other bespoke covers to enhance your package. Their insurance is tailored to meet the needs of medium to large businesses in professions such as finance, healthcare, manufacturing, and professional services. Some of the features and benefits of Covea’s commercial property insurance. 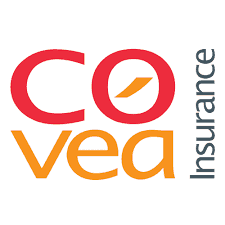 Covea is an insurance provider that offers a range of packaged insurance policies for businesses through a network of brokers. They offer commercial property owner’s insurance that is designed as a tailorable package suitable for commercial properties and blocks of flats with a range of optional extras. Covea’s commercial property insurance combines building all risks insurance with property owner’s liability, accidental damage and glass cover as standard. They also offer a range of optional covers such as loss of rent, employer’s liability, engineering inspection and insurance. You can cover single or multiple properties on one policy. Some of the features and benefits of HDI’s commercial property insurance. HDI is an international insurance provider that offers specialist and bespoke insurance products to businesses. They offer a variety of insurance solutions which include property insurance that is a flexible product that can create bespoke policy wording to meet the business’ needs or can take your current policy wording to create a policy to match. HDI’s property insurance can be used to insure single or multiple properties that can be up to a maximum policy amount of €250 million. They target their products towards medium to large businesses including multi-nationals that are risk-aware and have taken preventative steps to reduce their risks. Some of the features and benefits of Hiscox’s commercial property insurance. 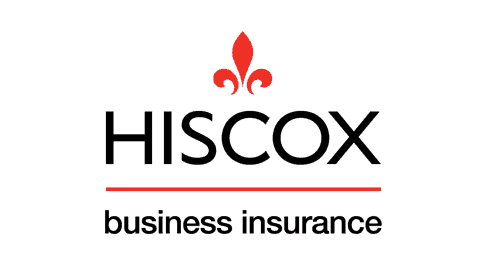 Hiscox is an insurance provider that specialises in business insurance that can be purchased as a standalone cover or be bundled up by selecting their products to create your own tailored combined package to meet all your business needs. Hiscox’s office insurance includes protection against damage to your property such as flood or fire, accidental damage, rebuilding costs, loss prevention costs, trace and access which covers the cost of locating damaged cables, pipes and drains. It does not cover contents, but they can provide that too as a combined policy as well as other optional extras including business interruption, equipment breakdown and portable equipment insurance. Some of the features and benefits of AmTrust Europe’s commercial property insurance. AmTrust Europe is an international insurance provider that offers a range of tailored business insurance. Their property insurance caters for landlords with both residential and commercial properties, holiday properties and other commercial properties. They offer bespoke policies or will replicate an established speciality insurance product to meet your needs. AmTrust Europe’s commercial property owner’s insurance is a tailored policy that will protect both property and contents. It also covers loss of rent, legal and property owner’s liability, legal protection, accidental damage, employer’s liability and terrorism. They also offer a commercial combined product which includes liability and business interruption insurance. Some of the features and benefits of Berkshire Hathaway’s commercial property insurance. Berkshire Hathaway is an international insurance provider that offers a range of speciality insurance products that are created to meet the needs of specific industries and niches. They offer tailored insurance products which include property insurance. Berkshire Hathaway’s property insurance is a flexible policy that offers a broad range of cover for a variety of circumstances. They offer property insurance that can cover all risks, excess layers and packages. They provide cover to global corporates, mid-market businesses, Private Financing Initiatives and construction projects. They specialise in products to real estate businesses, financial institutions, healthcare, manufacturing, industrial risks, leisure, retailers and technology businesses. Some of the features and benefits of Markel direct’s commercial property insurance. Markel direct is an insurance provider that offers a variety of business insurance cover that is designed to meet the needs of small to medium-sized businesses. They offer specialist office insurance that can be tailored to your needs. They have no hidden fees and cancellation charges and don’t charge interest on their monthly direct debits. Markel direct’s office insurance can cover building and contents as well as the option to include accidental damage, business interruption, business equipment against loss, theft and damage, and loss of income. Cover can start from as little as £6 per month and you can get a fast and simple quote online. Some of the features and benefits of Travelers’ commercial property insurance. Travelers is an insurance provider that offers a variety of business insurance through a network of independent brokers to business in the UK. They offer insurance that can be tailored to the needs of businesses in specific sectors with standalone or combined insurance products. Traveler’s property insurance gives business protection from damage which includes fire, theft, storms and floods. Their insurance can be tailored to your needs and you can select the cover you want. They offer buildings insurance, property and business interruption insurance, property contents insurance, and terrorism. You can add extra cover such as loss of rent, public liability and employer’s liability. Some of the features and benefits of Tokio Marine’s commercial property insurance. Tokio Marine is an international insurance provider that offers a variety of business insurance products in the UK and abroad. As part of their business insurance portfolio, they offer an extensive variety of commercial property insurance. Tokio Marine’s commercial property insurance can cover all risks, earthquake only and flood only. Their commercial property insurance covers all risk coverage for property damage, business interruption and catastrophe perils. They provide commercial property insurance to businesses of all sizes from small to large multi-nationals whose business is in manufacturing, hospitality, retail and real estate. Some of the features and benefits of CNA Hardy’s commercial property insurance. CNA Hardy is an international insurance provider that has a strong presence in Europe and has offices in London. They offer a variety of speciality business insurance products to help protect them from damage and liability, which includes property insurance. CNA Hardy’s property insurance is designed for businesses that have a single property to larger portfolios which can include office buildings and hospitals through to heavy industrial sites. They offer flexible cover that can be packaged with other cover. Their cover can include all risks, wind only, earthquake only and third-party liability. Some of the features and benefits of Sompo International’s commercial property insurance. Sompo International is an international insurance provider that has a network of underwriters in the UK to provide local knowledge and support to its customers. They offer a range of specialist business insurance to a wide range of businesses and industries such as agriculture, financial services, healthcare, technology, manufacturing, retail and real estate. Sompo International’s property insurance covers up to $50 million for a broad range of property coverage which includes all risks. Policies can be tailor-made to meet your needs on a primary, excess or quota share basis. Their cover can include natural catastrophe perils, fire and related perils, and high hazards such as earthquakes, wind and flood. Some of the features and benefits of NIG’s commercial property insurance. 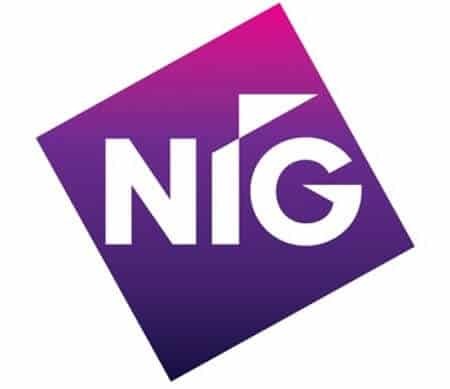 NIG is an insurance provider that offers a broad range of business insurance that has been designed to meet the needs of specific professions or industries. Their insurance range includes property owner’s insurance which caters for those with a single property through to multiple sites with up to 25 properties. NIG’s property owner’s insurance can be used to cover both residential and commercial properties in the UK. Their cover includes building insurance up to £10 million, landlord’s contents, public liability up to £10 million, glass and sanitary ware. You can also choose to add optional covers such as rent receivable, employer’s liability, personal accident, commercial legal expense and terrorism. Some of the features and benefits of ARO Insurance’s commercial property insurance. ARO Insurance is an insurance provider that specialises in offering cover to smaller businesses with a particular focus on property businesses and property owners. They offer a range of property insurance that includes commercial property owner’s cover which they offer through a network of brokers only. ARO Insurance’s commercial property owner’s insurance offers cover that includes material damage, property owner’s liability up to £2 million as standard but it can be extended to £5 million, glass cover, trace and access cover. You can also choose to add optional covers such as employer’s liability up to £10 million, loss of rental income and legal expenses. Some of the features and benefits of ARAG Insurance’s commercial property insurance. 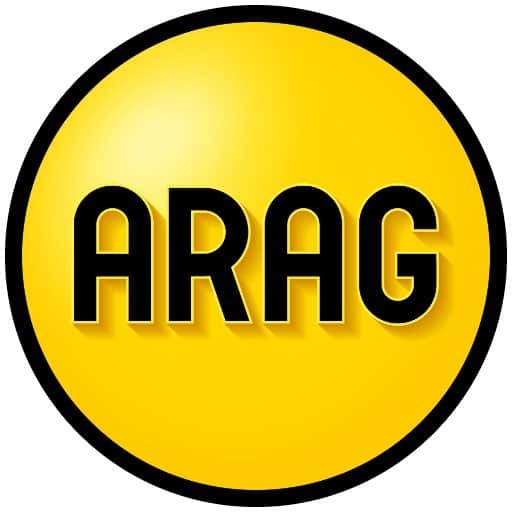 ARAG Insurance is an insurance provider that offers a range of business insurance products that are designed to protect businesses from legal expenses that can arise from legal challenges and claims. They provide cover for a variety of business sizes and industries with a choice of cover level. They provide their products through brokers and intermediaries. ARAG Insurance’s commercial property owner’s legal protection covers legal expenses only not compensation or repair costs. They provide cover for legal expenses for property damage, nuisance and trespass, repossession of property, recovery of rent arrears, settlement of commercial lease agreement disputes, as well as assistance to overcome a range of other business problems. Some of the features and benefits of Glemham Insurance’s commercial property insurance. 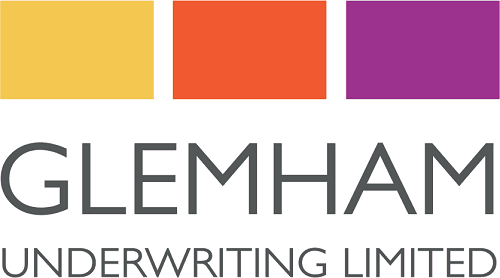 Glemham Insurance is an insurance provider that is providing a different type of business insurance as they target businesses that demonstrate that they understand risk management and have put controls in place to minimise risk. They offer package insurance products which include property owner’s insurance that provides flexible cover. Glemham Insurance’s property owner’s insurance providers cover for single and multiple sites for residential and commercial properties. Their cover includes property damage, business interruption, employer’s liability, public and products liability and commercial legal expenses. They can offer cover up to £5 million per location and £20 million per policy.